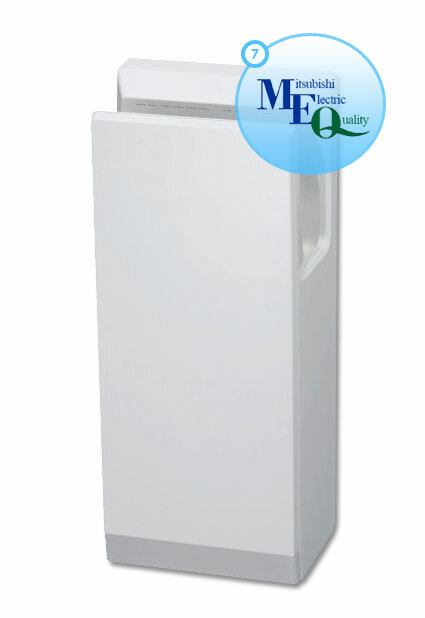 The best choice for performance, hygiene and cost efficiency. A powerful brushless motor drives ‘jet blasts’ of air at 382 kmph over the back and front of hands, comletely drying them in under 10 seconds. New waved shaped nozzles and innovative aerodynamic technologies minimize air current turbulance to reduce noise levels to only 58dB. More. As there is no need to make contact with any part of the Jet Towel™ clean hands stay that way. And with no paper towels to generate litter, washrooms remain neat and tidy. Key surfaces of the dryer have an antimicrobial treatment to ensure cleanliness and hygiene. More. With only electrical power to pay for, running costs are lower than for paper towel dispensers. The brushless motor, which incorporates Mitsubishi Electric’s industry leading energy efficiency technology keeps power consumption low. More. 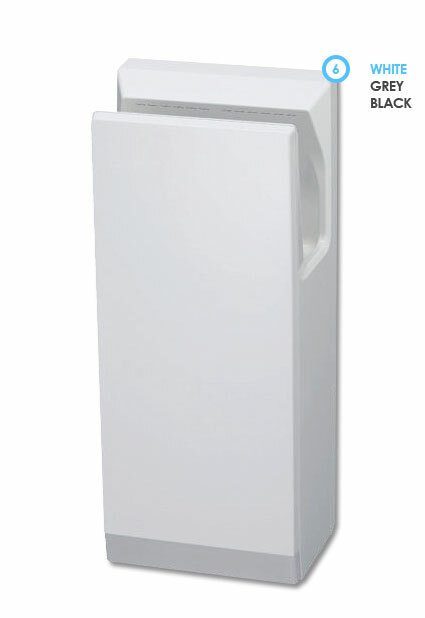 The Mitsubishi Electric Jet Towel™ is equipped with a state-of-the-art DC brushless motor. giving over 7 years of service at 1,000 uses daily. 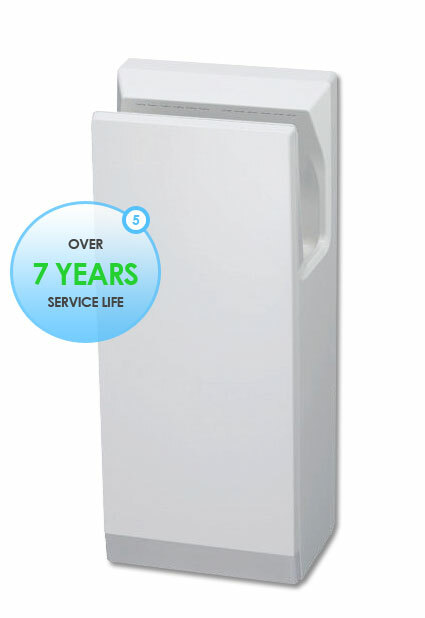 This is at least two years longer than any other high-speed hand dryer currently available. New colours for greater flexibility in colour coordination and installation applications. Simply meeting industry standards, however stringent, is not enough. Our aim is to exceed them. When it comes to comfort, efficiency and durability, Mitsubishi Electric is the industry leader. More. (H) denotes Jet Towel™ operating in HIGH mode, (S) denotes Jet Towel™ operating in STANDARD mode. For FULL Technical Specifications, click here.